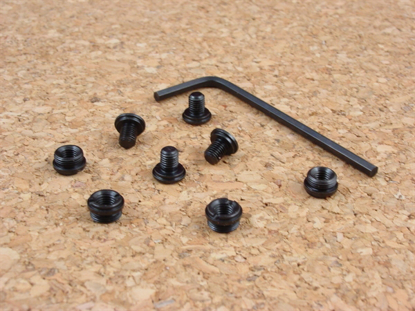 These o-rings are specially sized to fit the available area in the outer counterbore in your 1911 grip panel. They prevent you from over-tightening the grip screws and crushing the bottom of the counterbore down to the level of the top of the grip screw bushing. Or, if you already have and are suffering with loose grip panels even when the screws are "white-knuckle" tight, simply installing these o-rings under each grip screw will let those screws bear on the grips again and hold them tight. These hard, high durometer o-rings are made from Viton, a compound formulated for exposure to oils and will hold up to use. The will-fit #60 o-rings you buy at the big box hone fix-it store are too large, too soft and are not Viton. They don't last. 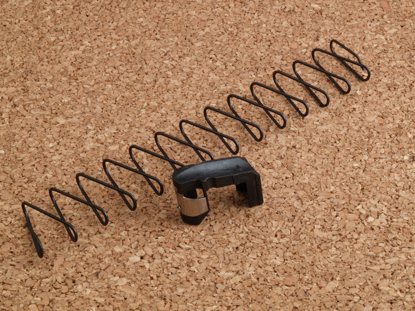 To install, remove grip screw, slide one o-ring over the threads and reinstall and tighten screw. Moderate torque is all that's needed. Each package contains 4 o-rings. If you order only o-rings, we will ship them to you via first-class mail, where practical, because it just doesn't make much sense to spend $2.50 for an item and $5.35 to ship it. When you check out, it will still show you $5.35 for Priority Mail, but we will manually adjust that down to the first-class rate for your zip code.